It sounds innocent enough - gift filled shoeboxes bringing Christmas joy to children around the world. Last year over a million shoeboxes were delivered just from Britain - worldwide over 24 million over the past 10 years - making it the world largest children's Christmas project. So why the campaign against it? What most people don't know is that the organisation behind it - Samaritans Purse - is run by that well know islamophobe Franklin Graham - who calls Islam "a very wicked and evil religion". Its the same group that rode with Israeli army convoys into Lebanon during Israel 's 1982 invasion, and again followed US troops in to Iraq to claim Muslims for Christ. In 1990 they sent 30,000 arabic bibles for US troops to hand out to the defeated Iraqis - literally at gun point. 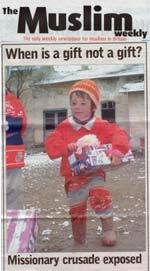 In Afghanistan their 2003 report proudly declared that with help from the Canadian military they got "MUSLIM children in the capital city of Kabul to celebrate Christmas for the first time". 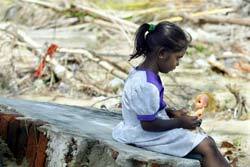 Their stated aim is the "advancement of the Christian faith through... the relief of poverty". Christian leaders in the UK have condemned this version of Christianity as "racist" and "poisonous". Their poison isn't just directed at Muslims, they refer to Hindus as being "bound by Satan's power" and were caught preying on Catholic earthquake victims in El Salvador in 2001- refusing them temporary homes provided by US AID unless they first attend a half hour evangelising "prayer" session. Afterwards Frankilin Graham gloated that in one village they converted 150 Catholics. What would you do for a shelter for your family? Other relief organisations were scathing of Samaritan's Purse's actions in Nicaragua in the aftermath of Hurricane Mitch in 1999 which left over ten thousand people dead or missing and considerably more homeless. Rather than focus on helping people, Samaritan's Purse used up potential relief money arranging an evangalical concert at the national baseball stadium in Managua. 50,000 children - mainly Catholics - were whisked away in rented buses to the stadium to listen to Graham, who flew in on a private jet, preach his brand of Christianity - asking them to accept Jesus as their saviour and be born again, and be rewarded with a shoebox of gifts and a Bible - the Catholic church was furious. In 1986 the World Court found the United States guilty of supporting terrorist forces in Nicaragua - Ronald Reagan's administration had been caught training Contra terrorists how to attack farm co-operatives and other "soft" civilian targets. The Samaritan's Purse played their part in the training - they admit on their website that even after the World Court judgment, as late as 1989, they trained chaplaincy corps for the Contras. Last year the Charities Commission slammed "Operation Christmas Child" for hiding their missionary aims from teachers and parents of school children asked to support the scheme, and from volunteers helping the project. They found that Operation Christmas Child "appeal leaflets sent to parents and teachers say nothing about any missionary aim, or religious affiliation." Once the shoeboxes of "gifts" arrive in their destination countries they are used to target the most vulnerable members of society - the children. The "gifts" are used to bribe desperate children away from their parent's religion. 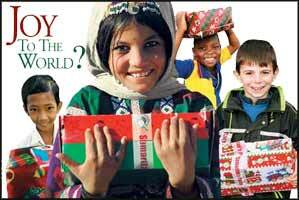 Last Christmas 6.6 million shoeboxes were distributed in some 95 countries around the world. Missionary literature specially designed to entice children, which comes in 54 languages, is distributed with the boxes - either inside it or otherwise along side it - sometimes covertly. The children are told "the gift is from Jesus" and upon receiving the "gift", in return, they are enrolled to attend a further 10 lesson indoctrination bible study course - their own annual report for 2003 suggests that four out of every five kids who receives a "gift" shoebox ends up attending such a course. They boast that tens of thousands of children have been converted in this way. In their Zambia operation they even coldly calculated that one shoebox equated to nearly 24 people being "saved" for Christ! Like children in the United States, he leaves his house every morning. But the 13-year-old boy is on his way to work, not school. His job is to pick up garbage on the streets of his town in India. It's hard, filthy work, with long hours and little pay. Every day, Ramakrishna's work route took him in front of a Christian church. As he picked up trash from the gutter, a woman invited him into the church. He always refused. Then one day the woman asked him inside to receive a gift. He was still wary of Christians and their strange beliefs, but the offer of a gift was too tempting. He accepted. Ramakrishna had been invited to an Operation Christmas Child distribution, and he was given a shoe box filled with presents. "I was surprised and very happy," he said. Although he was thrilled to receive the shoe box gift, he wondered who had sent it and why. The woman who had invited him explained. India can be a difficult mission field. Many states have anti-conversion laws that make it hard for Christians to work. But Operation Christmas Child breaks down barriers and provides a way to reach the children. More than 325,000 shoe box gifts were distributed in 2003, and 265,000 children were enrolled in follow-up Bible study programs. "Operation Christmas Child has opened up new doors without question," said a Samaritan's Purse ministry partner. "We're seeing the Lord do wonderful things." Their website mentions another similar case in Haiti where they used a shoebox gift party to entice an11 year old girl from her parents religion which eventually lead to the break up of the family. The evangelicals who like to giftwrap islamophobia, Rev Dr.Giles Fraser, Guardian 10 Nov 2003. Shun 'racist kids charity, says vicar, Manchester News, 13 Nov 2003. Presents imperfect, Patrick McCurry, Guardian 18 Dec 2002. 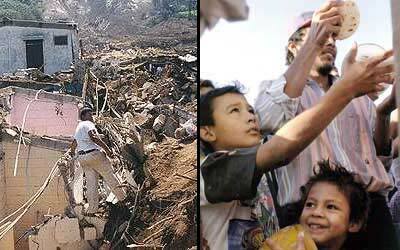 US aids conversion-minded quake relief in El Salvador, David Gonzalez, New York Times, 5 Mar 2001. Division of faith, Patrick McCurry, Guardian 15 Jan 2003. Tragically most people who support Operation Christmas Child - from parents gift wrapping shoeboxes to organisation acting as collection points for the shoeboxes - don't realise the racist reality behind the innocent facade. Our job is simple - to inform people of the truth behind Operation Christmas Child. We have a list of UK organisations who are supporting Operation Christmas Child by acting as collection points for its shoeboxes. Its sorted by postcode. Look up your postcode - you will be shocked to see so many organisation in your area supporting this vile venture. But more shocking is when you read who the supporters are - they include town councils, public libraries, community centres, hospitals and schools. All of these are forbidden by their charter to support racist or divisive projects - their purpose is to serve the whole community irrespective of race and religion - that's why they are funded by our taxes. We want you to write to them and complain - demand they pull out. We have a sample letter, which you can customise depending on who you are writing to, and a 12 page information pack for you to include with the letter. The information pack contains referenced articles exposing Operation Christmas Child. Its as simple as that! The website for Operation Christmas Child lists your organisation as one of its supporters, acting as a collection point for its shoeboxes. Are you aware that Samaritan's Purse which is behind Operation Christmas Child, is well know for its religious bigotry? Also, they exploit children’s generosity by using their gift boxes to bribe desperate children in developing nations towards a divisive form of Christianity. In their Zambia operation they even coldly calculated that one shoe box of gifts equated to nearly 24 people being "saved" for Christ! The Rev Vernon Marshall, vicar of Old Chapel in Dukinfield, and New Chapel in Denton, has publicly condemned it in the following words: “Millions of shoeboxes full of gifts are collected, but are then inserted with poisonous literature and leaflets thrusting an intolerant and racist form of Christianity on these poor Muslim people. This is not a normal form of Christmas charitable giving and anyone who usually helps this appeal should think carefully about the implications." I am sure you will agree that such racism has no place in an organisation like yours which is there to serve the whole community irrespective of race and religion. I demand that you immediately stop supporting this bigoted organisation. Please find enclosed an information pack consisting of referenced articles exposing Operation Christmas Child so that you can make an informed decision. Nearly half the schools in the UK are believed to be taking part in Operation Christmas Child - that over 10,000 schools. Ask your child's school if they are supporting this scheme - if they are then use our school sample letter below with the information pack to demand they stop their support. We are shocked and deeply hurt to see our son's/daughter's school give its support to an Islamophobic organisation that uses toys to bribe children in need to a divisive form of Christianity. I am sure you will agree that such racism has no place in school, where all faiths should be respected. We all wish to instil a sense of caring, charity and good citizenship in our children but this surely is not the way. We want a reassurance that [school name] will stop supporting this divisive organisation. Please find attached a few articles which further expose what Operation Christmas Child is really about. This letter and information pack has already been used successfully in bringing awareness and change to one infants school. 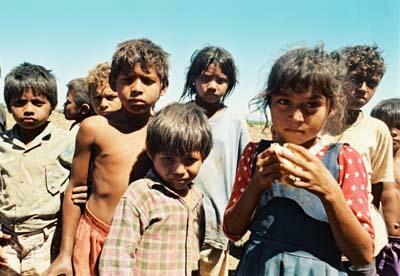 Within hours of the school receiving the letter, to their credit, they tore down all the posters for Operation Christmas Child which had adorned every classroom and that same day they issued a memo to all parents telling them not to bring any shoeboxes as the school had pulled out of the scheme. Your child's school may not be so reasonable. If it refuses to distance itself from this racist organisation even after you as a parent have complained and made them aware of the facts then please do let us know. The collection period for shoeboxes started on 5th November and ends 21st November 2004, so there is very little time - act quickly, send your letter today. Note that even if you read this after the 21st November its still important that you write that letter. Operation Christmas Child rears is ugly head every year. When you write, demand that they give you an undertaking that next year they will not support this scheme. Forward these promises to us and we will hold them to it next year. We appeciate the many organisation who have written to us to distance themselves from this racist project - most simply were not aware of the bigotry behind Operation Christmas Child. We had planned to publish a progress report on this on-going campaign on 1st December 2004. This would include, as demanded by our readers, the list of those organisations who despite having received clear evidence of the bigotry behind Operation Christmas Child, have chosen not to distance themselves from it. Shockingly these include publicly funded bodies who in total disregard for the Equality policies that govern their operation are giving their support to this racist project. We have however been requested by a number of the organisations for a little more time, whilst they conclude their own investigations in to Operation Christmas Child. In respect of this we are holding back the publication of the results for a short period. This campaign has been jointly launched by the Islamic Human Rights Commission (www.ihrc.org) and Innovative Minds (www.inminds.co.uk). Interesting debate, the only point Mark Smith (chairman of Samaritan's Purse International UK) seems to make is that shoeboxes from the UK do not include missionary literature INSIDE the boxes - as if it really makes any difference whether the literature is given WITH the boxes or INSIDE the boxes. When challenged about Franklin Graham's islamophobic remarks, rather than distance himself from them, he defends Franklin Graham saying he's "a man who has enormous care for people regardless of religion, race, or creed"! "Evangelists exploit Christmas cheer to target Muslim children"
"Christmas charity exposed as a missionary crusade"
"first they lost their parents, now they are asked to give up their religion in return for biscuits and water"
Pursestrings- excellent Canadian site dedicated to exposing Operation Christmas Child. We need your feedback! If you write a letter please email us a copy, if you receive a reply then again please email a copy. If your child's school stops its support for the scheme after you complained please let us know. This is essential for gauging the success of the campaign. All information will be treated in confidence so for example if you tell us your child's school refuses to stop its support we will treat it in confidence and co-ordinate with you in determining whether action should be taken. Email for feedback: occ@inminds.co.uk or use the form below.